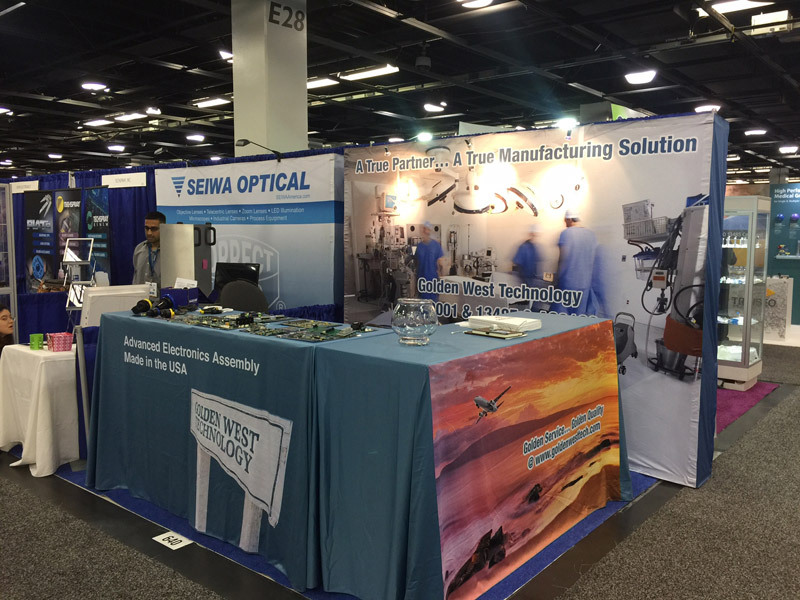 After a 3 year layoff, Golden West Technology was excited to jump back into the San Diego market by participating in the Del Mar Electronics Show on May 3rd and 4th. The San Diego market is very important to GWT and that’s why we decided to return to this important regional trade show. Gene Agron, our Sales Development Officer, was the lone attendee due to distance factors however it was still excellent exposure from one of the most vibrant economic areas of California. Golden West Technology has successfully passed its 3-day, maintenance audit with NSF-ISR; and therefore is free to continue on with what’s left of the 3 year registration term in compliance with rigorous standards…ISO-9001 and AS9100. Please go to the quality certification page for a view of the certifications that took effect on May 9, 2016 and extend through to September 14, 2018. Golden West Technology thanks NSF-ISR for their diligence and professionalism as well as GWT’s own Derek Bannon, Quality Manager, for his excellent navigation through the 3-day audit. The work doesn’t stop as GWT will be upgrading the quality system to AS9100 rev D by next year.